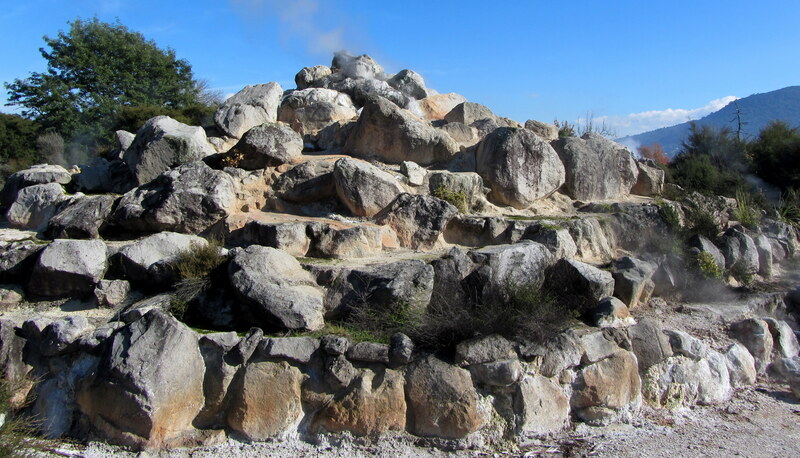 Kuirau Park is a geothermal park located in the heart of Rotorua. 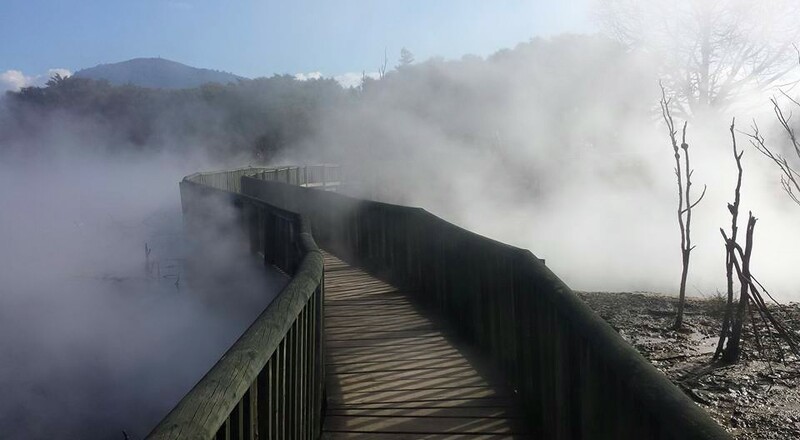 You can see bubbling mud, steam oozing from the ground, and smell that famous Rotorua sulphur all for free as you explore the dirt walking tracks and boardwalks. 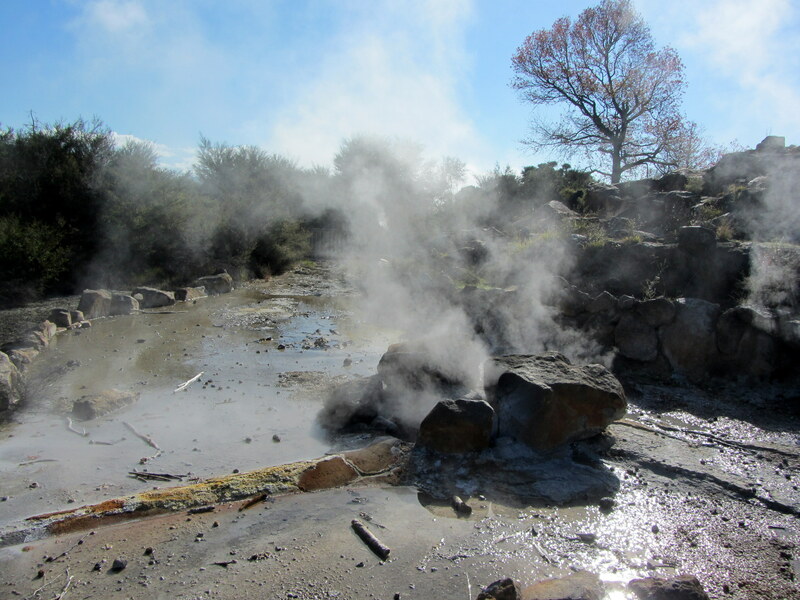 As geothermal nature is unpredictable please use common sense and stay to the tracks. There are also two footpools where visitors can soak there feet. There is also a children’s paddling pool close by. Although it was empty when I visited probably due to it being winter. Every Saturday morning from 6am to 1pm is the Rotary Market. The various stalls sell a variety of fresh fruit, vegetables, meats, bakery items, hot food, art, crafts, clothing and much more. 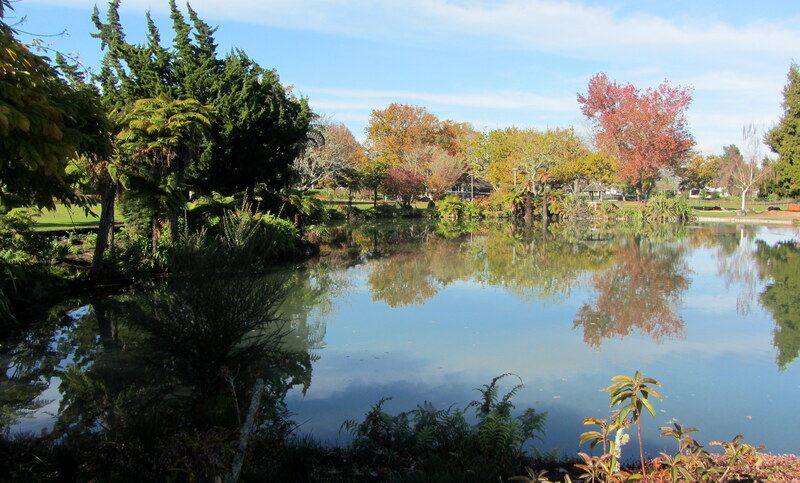 It is not all boiling mud and sulphur there is also a scented garden, children’s playground, picnic tables and plenty of green space. 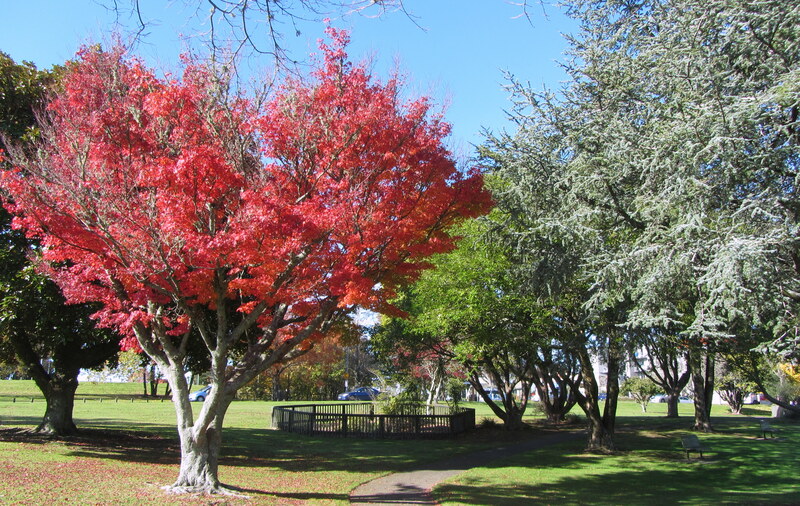 Kuirau Park is located on the corner of Ranolf Street and Lake Road. There is plenty of parking or is a 10-15 walk from the city centre.